The story begins with some foundation setting. Two ninja schools, The Hanzo National Academy and the Hebjio Clandestine Girls Academy, each exist and function based on their own personal ideals. The Hanzo side have what is considered Good Shinobi who work to maintain peace for the common people and to defeat evil wherever it may lurk. The Hebijo side however are a little more shady as they work for whoever their client is, good or bad. This leads some to consider them evil, and the shinobi of Hebijo know this. This element of the story plays an important role in one of the characters of the game. I won’t spoil who exactly, and honestly it would require an article to itself, but I came away quite satisfied with how the ideas that drive good and evil was explored. Much of the story is told via character conversations and light Visual Novel segments before and after missions. Some might find the VN sections a little annoying since you’re reading walls of text. However if you’ve played and enjoyed games like BlazBlue and Persona 4 Arena which also had VN sections, then you won’t have much of a problem here. It would’ve been nice to have a few cutscenes here and there, but I managed. It even has a nice marker on the bottom to show you how much you have left to read. The story told is a mix of serious and lighthearted, starting off almost like a slice of life anime. It’s around chapter two that the story starts to get going with the previously mentioned themes starting to take shape. 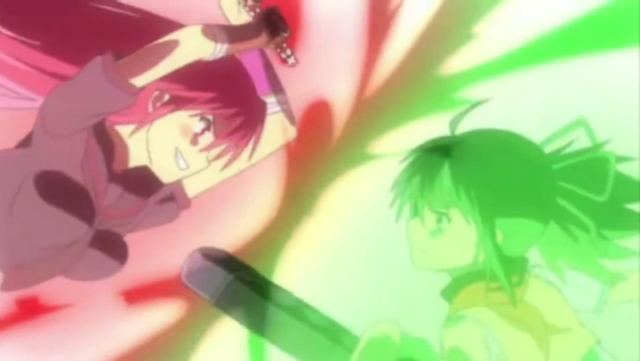 Each girl from the two sides represents an archetype you might be familiar with if you watch anime and read manga. You got the go-getter, the leader, the cheery one, the grabby-hands, the stoic, etc. They might seem lacking in depth at first, but their individual stories and motivations unravel, being at their most effective during the VN segments. So by the end of each story, you’ll see why each girl is the way they are, and not just because. I will admit though I did choke up a couple of times. My only complaint about the story is when switching to the next academy. I started out with the Hanzo girls since this is essentially the first game (SKB is two games in one). After finishing the story and completing as much as a I can on the Hanzo side, I switched over to the Hebijo side expecting it to pretty much be the same story, but this time with the Hebijo perspective. It was like that for the most part, but some details are quite different from each other when the girls from both academies meet up. I wasn’t sure if this was the exact same story from a different perspective, or a what-if scenario with the Hebijo girls being the heroes (but still evil). I tried to wrap my head around how exactly I was to take the story, picking what was canon and what was “what-if,” similar to some fighting games. It all eventually evens out in the last chapters, with some events making sense chronologically. Still, I wished the Hebijo story was a little more clear cut with some of the events and not leave me scratching my head as why it was different from the Hanzo. On the presentation side, there’s a plethora of Japanese motifs lining up with the ninja theme of the game. Sliding doors, cherry blossoms, and Kanji characters abound. Graphically, this is a clean looking 3DS games around with bright colors, smooth shading, and detailed backgrounds. Some of the best locales include the rooftops at night, the beach, and the riverside. You may notice that some tricks were made in order to make things smoother, like 2D objects mixed with 3D in the background. However even with the graphical techniques in place, the game suffers from a sometimes jarring framerate. When the game begins, you’re dropped right into the middle of battle. Immediately you’ll notice how slow the framerate is. It almost feels unbearable. It isn’t until the first training stage when you get a better idea of how the framerate is. From the looks of it, it runs at 24 FPS, the same as some movies and TV shows. I tried out the controls to see if there was a delay in button inputs and on-screen action, and found it to be surprisingly responsive. Only in a few of missions did I feel like I had no control due to framerate issues, which seem to be cause lots of the larger enemies being on screen at once. Think of the framerate to the original PS2 version of Shadow of the Colossus. If you’re used to the framerate in that game, you’ll probably get used to it here. And it you’re wondering, yes, the 3DS’ computing powers are put to good use. Probably one of the high points of the game. I have a full article up right now explaining why I like the music so much. To summarize, the music is a nice blend of hard rock, pop, and traditional Japanese music (sometimes all at once). The song that’s played depends on what character you play as, and each one has two themes — pre-transformation and shinobi transformation. If you transform as soon as your shinobi meter is full (like I did), you’ll miss out on most of the pre-transformation music. However you’ll definitely get to hear most of them while in Frantic mode. Outside of combat, the music is more situational. While in the hubs, the music is calm and cheery. During the VN segments, the mood is just as pleasant, as well as somber or action packed when it needs to be, all while retaining some of that ninja flair the soundtrack is going for. To sweeten the deal, the composers of the game, AkiHee Motoyama and Mutsumi Ishimura, have added their own commentary to the music via the music gallery. This is something I’d definitely like to see in future installments (and other games for that matter). As for the the sound, it’s about what you’d expect from a brawler. Lots of slaps, sword clashes, a huge piling of satisfying impact sounds from hitting so many enemies at once (and possibly breaking their guard). When engaging the enemy, a barrier will appear enclosing you in it (i.e. the screen stops scrolling further). When this happens, there’s a low but still audible sound cue of it going up, which can help you prepare for battle and not go rushing into a wave of enemies and getting walloped in the process, especially while in Frantic mode. Voicework might be 50-50 to some players out there. Some will like it, some will hate it. Still, it does its job for the most part, with familiar voice styles that complement the personalities of the characters and are identifiable in the VN segments. I do wonder though why the localization process saw the Hanzo girls saying different things in the subtitles when they enter a stage while the Hebijo girls all say the same thing (“I sacrifice myself to the will of evil”). When talking, they’re all saying the same thing respective of their academies (with different styles of saying it reflective of their personalities). Still, it’s a minor gripe. 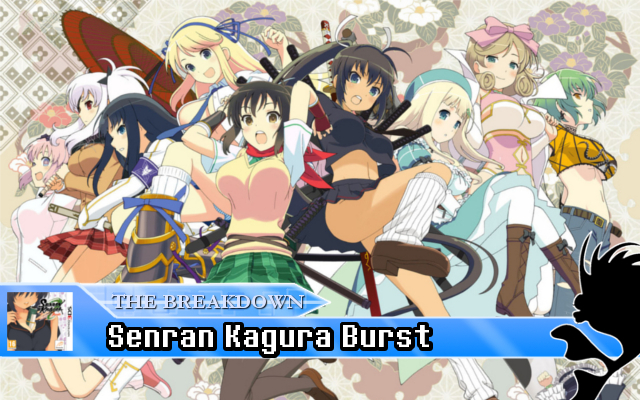 The fighting in Senran Kagura Burst can be best described as Dynasty Warriors mixed with your usual 2D Brawler. Each wave of enemies is pretty big, getting larger as the game progresses. The controls are simple enough with a light attack and a heavy attack. When you hit with a certain combination, usually three light attacks and a heavy, you can initiate an air combo (indicated by a green ring). Your combo strings become longer and dependent on timing as your characters level up. If there’s too many enemies crowding you, you can press “R” for a limit break and push back the group at a cost of some of your health. Unless it’s part of the story, you begin each chapter in your normal uniform and have a limited assortment of combo moves. Once you fill the Ninpo gauge, you can transform into your Shinobi form, giving you access to longer combos, more heath, knock-back resistance, and access to your Secret Ninja Art (or Hidden Ninpo as the girls yell out). While each girl follows the same combo pattern, their execution varies greatly. For example, Asuka moves rather fast with good hitstun prowess and easy air comboing. Yomi moves very slow and is a little more dependent on dash-cancelling since she’s constantly open. 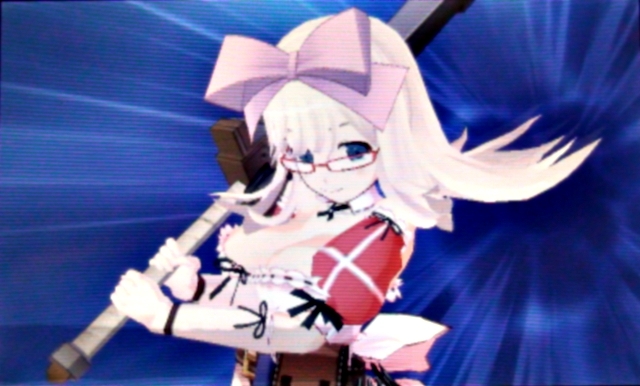 Mirai is more suited for distanced encounters with enemies since she uses a gun. 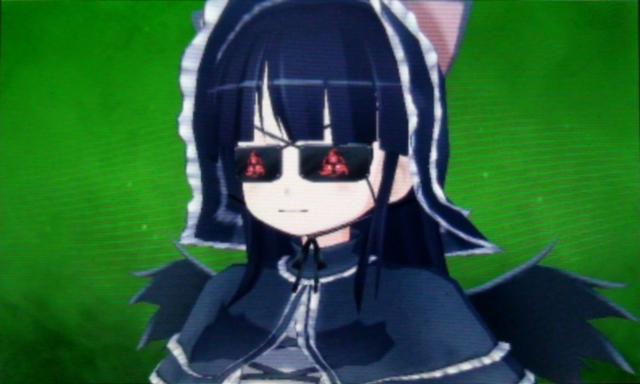 You’ll eventually find the right girl that’s better suited to your play style, however you’re encouraged to play as all of them if only to level them up so that they won’t have a hard time with some of the chapters as they will require you to play as certain characters the first time through. In the beginning the enemies are very much just fodder, showing up just to get hit with very little resistance. However later on more enemy types are thrown in, like the striped stocking-wearing knife wielders (I call them “Stripes”), the crossbow shooting Maids, the Claw wielders, and the Gothic Lolitas. The do seem to act like fodder at first, but when there’s a wave with a lot of them, you might find yourself getting smashed if you’re not careful. 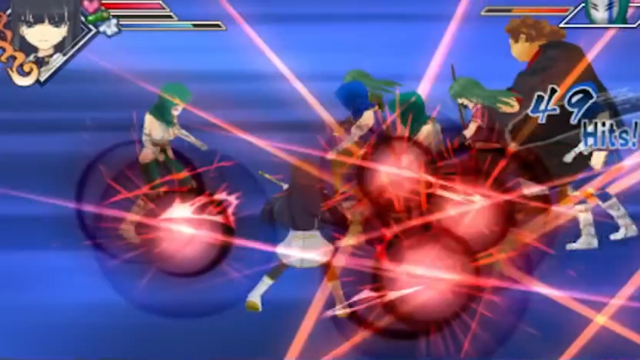 They also become more aggressive and will not hesitate to use their best attacks the moment you’re in range. On top of this some have red kunai over their head, which indicates them as leaders of a wave and will continue spawning more enemies if they’re not taken out first. 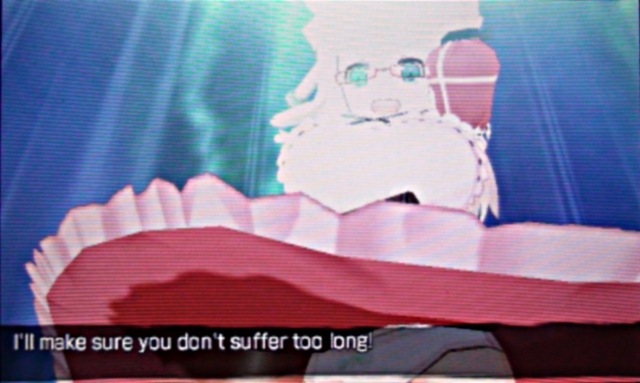 However it’s when you play the final chapters of both stories that you might get to fully appreciate the small nuances of the fighting system and how important Ninpo conservation and usage, air combos, zoning, evading, and even mid-chapter leveling is, especially if you’re playing in Frantic mode. Speaking of leveling, experience points is handed out for every hit you land, and not for the KOs. And since experience dispersing is not adjusted between each girl, you’ll see some of them level up much faster than others. I do have some qualms with the fighting system though. The Yin and Yang system can sometimes feel both ineffective and unfair. Yang mode is reflective of your Shinobi form, and enables longer combo strings as you fight as a Shinobi. While Yang is there to give characters longer combo strings sooner, it would’ve been better to leave it for leveling. Yin Mode however is reflective of Frantic mode, where you shed your defense and knock-back resistance in favor of higher attack power and speed. As you increase the Yin attribute, you get stronger as your defenses get weaker. When both Yin and Yang are max, you unlock Flash, which is pretty damn broken. From there on, the mode you choose is the one you stay committed to for the chapter. If you want to go Frantic, you can only be in Yin mode, an if you want to transform, you have to be the other two. Also, it seems like some of the benefits to Yang don’t take effect until you max out Yin, and in turn unlock Flash. In the end, unless you’re going for a title, you might end up letting one girl in each faction max out her Yin and Yang while the rest stay in Yang since maxing out both locks you down until you change it at the character select screen. Another issue I had is the lack of variety in the Air Combos. From Level 1 to Level 50 (the max level), you’re stuck with the same setup. While your ground combos get longer and fancier with different input timings, your air combos will always be the same old Y+Y+Y+Y+Green Ring. The only change that occurs is when you unlock Flash mode, which lets you air combo infinitely until you mess up. Finally, my other gripe is that when facing the bosses, the clothing damage animation has a bad habit of occurring right in the middle some pretty important combo inputs. I could be in the middle of an air combo, ready to react to the green ring, only for the their clothes to start tearing and for my combo to possibly reset, forcing a stop to it. This could’ve been alleviated by simply giving the bosses the same clothing meter I have for when my own character’s clothes is getting torn, that way I can see how much further I have left and to act accordingly. Another way, which would probably make more sense, would be for the clothes to tear in relation to how much life the bosses have left. In the end though, the fighting does feel pretty satisfying and can probably put you in a zen state in some of the harder missions. It can also be rather addicting to see how high of a combo count you can get, and how long you can maintain it. You also get to unlock extra outfits and accessories for your favorite Shinobi. 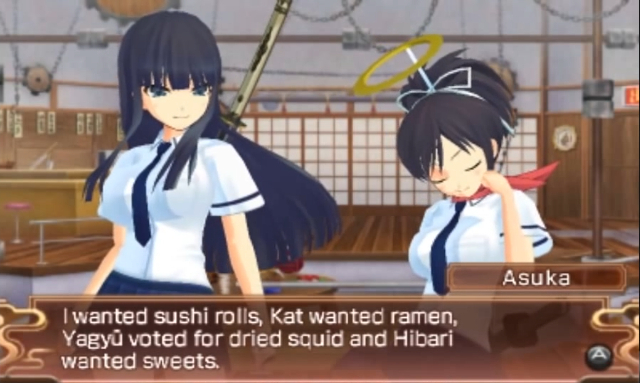 Overall, Senran Kagura Burst is a fun romp with a pretty good story and good gameplay to back it up. The story doesn’t take itself seriously for the most part, but does bring up some interesting ideas about good and evil, as well as explaining very well the intentions of each of the girls and why they became Shinobi. It’s all presented in a clean and colorful graphical style, even though it suffers from some framerate issues. The music is top notch with awesome rock arrangements and descriptions from the game’s composers. And the gameplay, while lacking in some aspects, is admirable and is something I would like to see improve as the series continues. Whether representing Life or Hometown, you’ll have a good time playing this game.